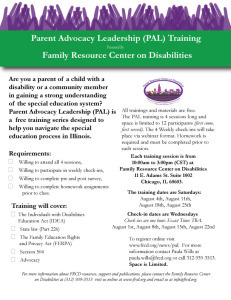 Family Resource Center on Disabilities (FRCD) and the University of Illinois at Urbana-Champaign are offering a FREE training to parents and family members of children with disabilities. 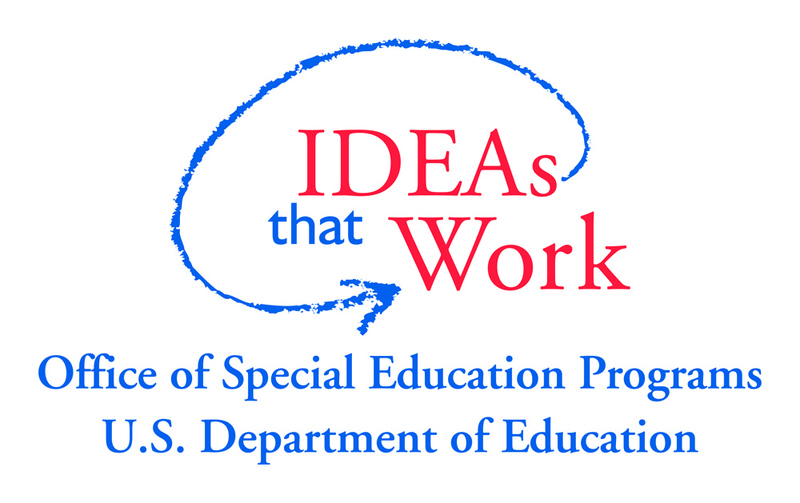 • Participate in the legislative process to change special education policy. 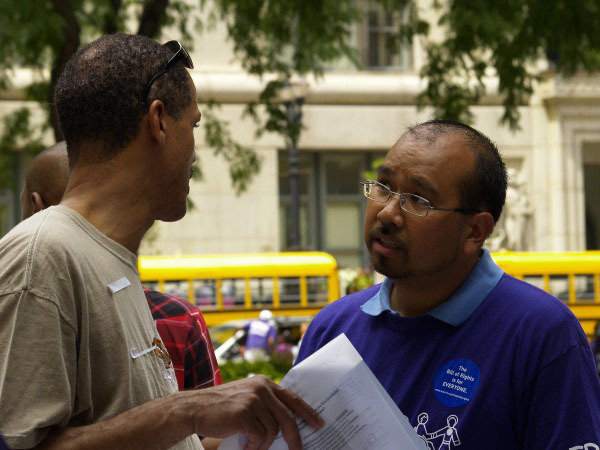 • Become more comfortable speaking to legislators and sharing concerns. 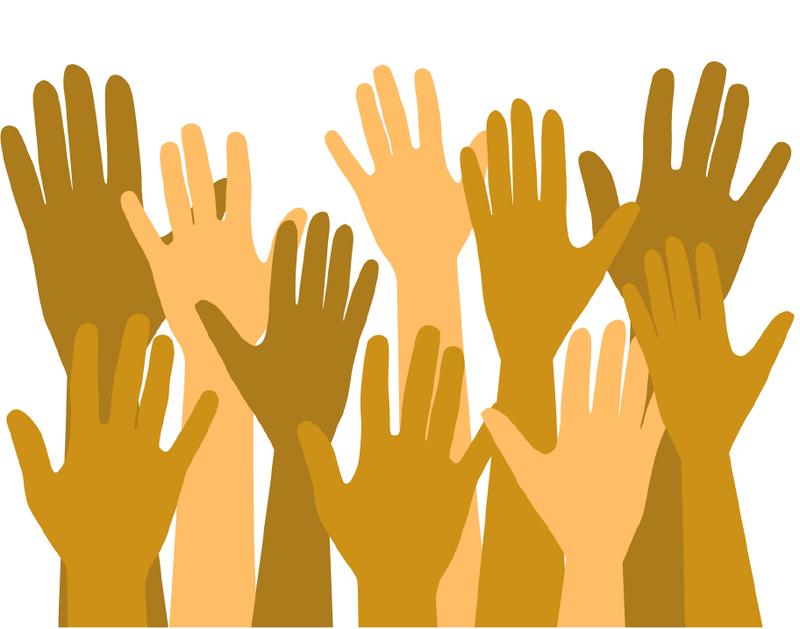 • Participate in a focus group to share concerns about special education legislation. • Complete three surveys to document the effectiveness of the training. • Be videotaped (less than three minutes) to share your concerns about special education legislation. Your participation is voluntary and your responses will be kept confidential. After completing the survey, you will be notified of your training date. Do you find your child’s Individualized Education Program(IEP) document cumbersome and overwhelming? Would you like to feel better prepared for your child’s next IEP meeting? This webinar will focus on helping parents understand how their child is currently performing as it pertains to the IEP. This training will also explain the components of the Behavioral Intervention Plan (BIP), the purpose of the BIP, and steps to acquire one for your child if appropriate. This training will focus on the discipline process for children receiving special education services and their rights in regards to in-school suspensions, classroom removal, and expulsion. 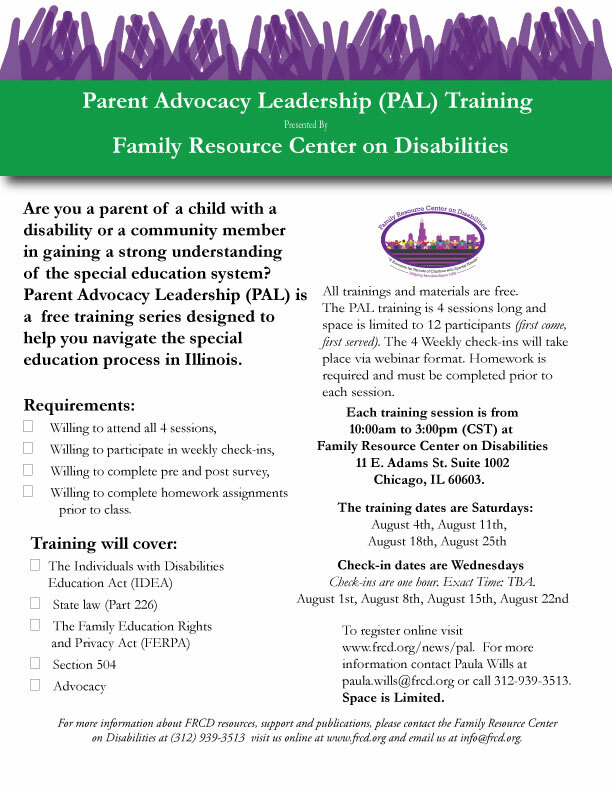 Are you a parent of a child with a disability or a community member interested in helping families? The Volunteer Advocacy Training Program is a training program to help you navigate the special education process. 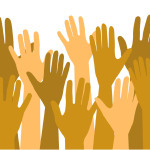 All training and materials are free.The Volunteer Advocacy Training Program is five sessions long and is limited to 15 committed participants. Homework is required and must be completed prior to each session 2015 from 10:00am to 2:00pm (CST). October 3rd, October 10th, October 17th, October 24th, October 31st . 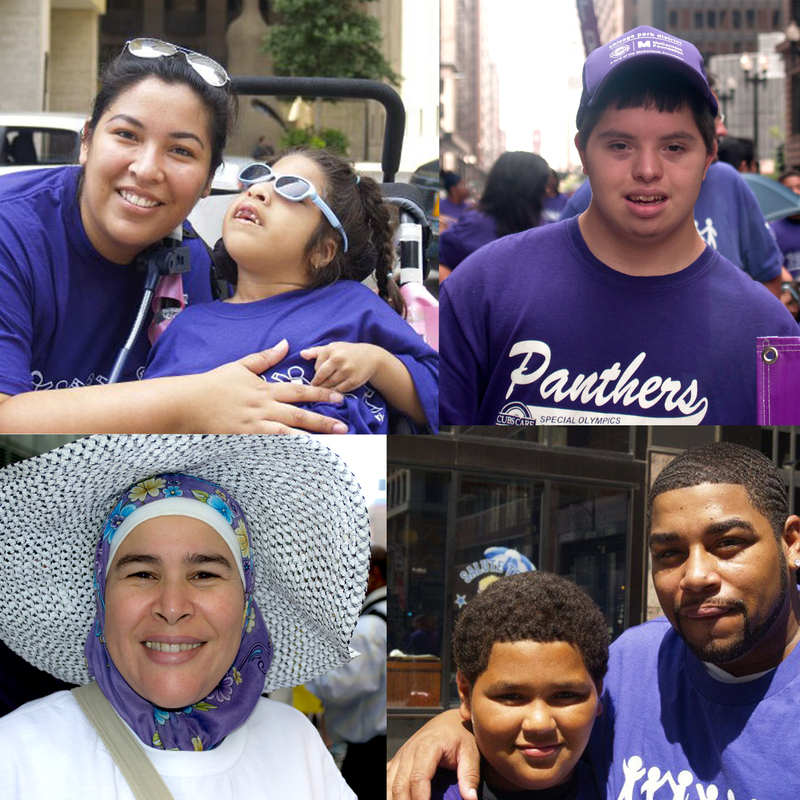 For more information about FRCD resources, support and publications, please contact the Family Resource Center on Disabilities at (312) 939-3513 visit us online at www.frcd.org and email us at info@frcd.org. 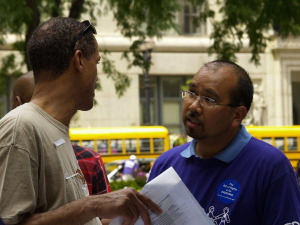 -Tips for parents preparing their child for adulthood.